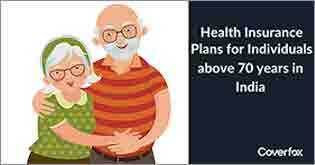 What you don’t compare in health insurance plans may hurt you! 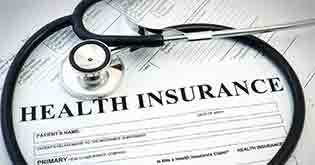 What you don't compare in health insurance plans may hurt you! Your obsession to find out about something new that you want to buy goes to no ends! You want your money’s worth – fair enough! But that’s no excuse to blindly compare premiums when buying a health insurance policy, especially when you know it goes a long way in the future. When shopping for health insurance, if you thought you'll be done with the cheapest one, you NEED to read this! 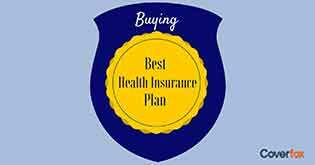 This will tell you exactly what you MUST compare and what you SHOULDN'T while buying health insurance policy! Truth is - there is no one best policy in the market. This is why it is more important that you don’t compare premium of a policy but the features and benefits that are offered in each of them. Hospitalization bills are based on your room rent capping limit. All other charges of the hospitalization (doctor fee, surgery costs, medical tests) are calculated proportionally based on this factor. Call this the differential price structure that hospitals practice. When you compare, you may find that your room-rent is restricted to a specific amount or percentage of the sum-assured (sometimes up to 2%). If you’re lucky enough, your comparison will help you find a policy that has no capping limit at all! Learn more about room-rent and its limits. The time you invest in learning about your room rent limits will go a long, long way! When you’ve had a fairly healthy year without claiming on your policy, your insurer offers a bonus on your sum assured at your next renewal - a practice followed until you make a claim. Once you do, your bonus amount is snatched out. Sometimes, this bonus also comes as a discount on your premium at renewal. If you’re a stickler to good health and lucky enough to not use your health policy, you could save up to 5% on your premium each year which may accumulate up to 50% discount on your premium in few years. But, given a choice, Coverfox would always recommend that you go with the sum-assured bonus. Compare between policies and companies to know which one could prove the most beneficial to you! Standing as an agreement between you and the insurance company, this is a percentage of the payable claim amount you agree to bear after a hospitalization. So, during claim settlement, insurers will deduct this amount and reimburse the rest. The lower your co-pay in a health policy, the better! Case study: After a knee replacement surgery, the claimable amount of the hospital bill for Mr. Pankaj Mehta was Rs. 4,50,000. Of this, Mr. Mehta’s policy had a clause of 10% co-pay in his policy. So Mr. Mehta had to pay Rs. 45,000 of his claimable hospital bill and Rs. 4,05,000 was paid by the company. Sub-limits Just like room-rent, the insurer places a cap on the claimable amount for hospitalization of certain procedures. Mostly based on your sum assured, it’s usually a fixed value for specific ailments (sometimes expressed as percentage of the sum assured). A plan with no sub-limits could have a higher premium while otherwise having sub-limits could reduce the premium substantially. Compare policies if you’re choosing a plan with sub-limits and know beforehand whether the charges applicable are within the reimbursable limit. Case study: Mr. Irandeep Singh got a cataract surgery done on his policy of sum assured Rs. 1,00,000. His insurer applies a capping limit of Rs. 15,000 per eye. Since Mr. Singh’s surgery cost him Rs. 20,000, he had to bear the remaining amount of Rs. 5,000 by himself. There is a notorious notion among many customers who assume that all their ailments would now be naturally covered since they are insured. Bitter truth is – not only is it not covered immediately, it remains so for a while! Every company applies a waiting period of few years to cover any declared pre-existing diseases. You could compare the duration of this period between companies/policies to know beforehand how long you are expected to wait before receiving assistance for your conditions, if any. Ps: Some ailments are permanently not covered. So make sure your eyes are wide open while you read your policy wordings! Did this pique your interest about waiting periods and possible ailment exclusions? Figure out more then, with the help of this article. Sometimes, taking the claim reimbursements route strains your finances even impacting the quality of treatment you choose. Opting for a cashless claim facility saves you the trouble of collating documents, submitting them and later following up. If you’re unfamiliar with the idea, this is plainly a network of hospitals that the insurer has a tie-up with. This feature allows the insurer to settle the hospital bill directly only keeping you in the loop. Bigger the network list, the better as it helps in getting treated in a hospital that’s most convenient/nearest/economical to you. Any insurer who has a low claim settlement ratio could spell trouble. Before you buy a policy, validate the insurer’s ability to pay out claims. You might have to get down to hand-picking friends for this information if you want to cover base. But for all other purposes, a wide search on the Internet to find this claim ratio maintained by the insurer might help in reaffirming the rejection ratio of a company. To know that you will not lose your peace of mind over claims sometime in the future will be a reassuring thought! Finally, it always boils down to this – affordability. Firstly, you’ll not look for cheap premium anymore and you’d vehemently say no to a policy chosen for it low pricing. (Yes, we’d be proud of you for that!) But, if you find yourself looking at a few policies after you’ve compared them based on these mentioned factors, feel no guilt about it. There is nothing to fear if the policy covers its base with these features and we’d advise that you go for the lowest price of that compared lot! If, after evaluating all the above, your chosen policies stand neck to neck and you need further help with your decision, just look out for these additional factors which could highlight a more efficient policy. Chances of one bout of hospitalization exhausting your medical policy are high. Insurance companies offer solace with this restore feature that will automatically refill your health policy up to your defined sum assured limit. The only small clause here is that you cannot use the refilled amount for an ailment that you have already got hospitalized for previously, that policy year. While you cannot plan to fall sick accordingly, this feature is still an extremely profitable one to have, especially in the case of family floaters where one member could easily drain out the health insurance for the rest. Case study: Mr. Dhiman Majumdar has a policy of Rs. 2 lakhs covering himself and his family of 2. He had to get hospitalized for Typhoid which cost him Rs. 50,000. There was Rs. 1.5 lakh left in the policy to be used. But his wife met with an accident which cost Rs. 2 lakhs on the whole. Since the reasons for hospitalization differed, the restore benefit in Mr. Majumdar’s policy allowed him the deficit of Rs. 50,000 that he claimed later. Critical illness A no-nonsense feature to help serious conditions like cancer, stroke, open heart, major burns etc. Treatment for such ailments are usually expensive. Therefore, your claims for such hospitalizations are met with a lump some amount (equaling the sum assured) with the help of this feature. 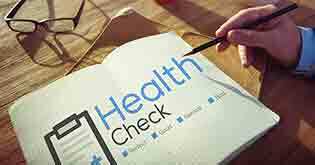 What to look for in critical illness: This benefit is usually given out for the first diagnosis of a particular ailment only. And it requires that the patient lives through the survival period of (usually) 30 days. So, when you compare between policies, make sure you look out for a relatively low survival period (the lesser, the better) and a broader coverage of ailments covered under this feature. Day care procedures Expensive treatment that needs hospitalization for lesser than 24 hours (like chemotherapy, radiation, dialysis etc) gets covered under the category of day-care procedures. 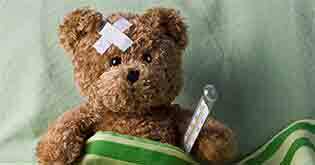 Comparing policies for day-care procedures, a word of advice: Do not let a high number of ailments mentioned in the insurer’s list influence you. Define the procedures with respect to their scope of coverage. The occurrence of organ donation procedures be it heart, kidney or liver have gone up. And with it has also increased the price of such surgeries. A normal health insurance covers the cost of such surgeries of the patient but very few remember the costs incurred by the donor of the organ. When you compare policies, if your chosen policy covers the donor for organ screening, hospitalization costs (pre- and post-) and for complications that may arise from the transplantation, you’ve found your prize policy! You don’t lose a moment to take pride for deciding to buy health insurance but what’s the first thing you do? Look for cheap premium, if not cheaper premium! Don’t even consider a policy for it’s low premium just to make it fit your budget! A medical insurance will be what’s going to take care of expenses; ones as simple as pre-/post- hospitalization to the big ones like organ donation. Comparing the monetary benefits and frills like premium, hospital cash or ambulance cover should not influence your decision of choosing the right policy. Medical costs that you see today will be tomorrow’s wishful memory before you know it! You may have no control over the rising prices, but you can certainly decide what kind of support you/your family should get in case of a medical emergency. Most insurance companies do not allow switching health insurance intermediaries/agents or service providers. 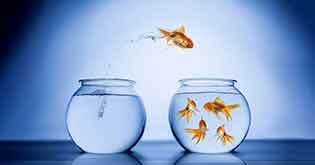 This means once you have booked a policy through a specific agent/broker, you are stuck with them all your life. Even if you maintain a direct relationship with the company and continue to get serviced by them, you won't be allowed to change the agent if you're unhappy with the services. This is why it is of prime importance that you check thoroughly wherever you're deciding to buy your health insurance from! Compare their services, credibility, track record and then take the plunge. How Coverfox makes it cracker-barrel for you! An excellent advisory team, good service and a bucket-load of options to choose from – these are things we boast of at Coverfox. Also, you wouldn’t have to spend sleepless nights worrying about the company’s legitimacy - the premium you see on the portal is any insurers would sell since these policies are IRDA regulated! But what’s best is that your insurance gets done and dusted in just 3 easy steps! First, you fill in details. No endless forms to fill out. It would be completely paperless. Then, you compare between features, policies and insurers. All of you’ve to do is pick from a single window! Lastly, choose the policy and make your payment. Your policy will sit in your inbox within the real time of 5 minutes!